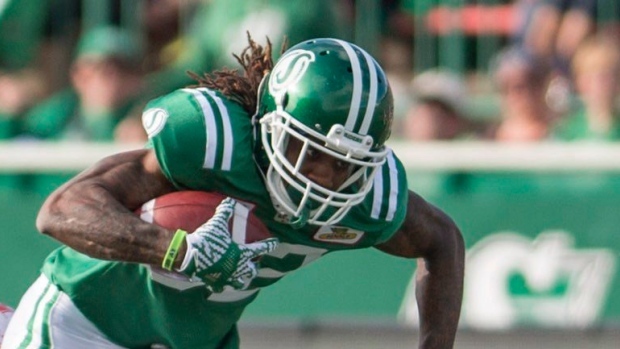 The Saskatchewan Roughriders have placed wide receiver Naaman Roosevelt on the six-game injured list. Roosevelt, 29, leads the Roughriders with 929 receiving yards this season, he ranks fifth in the CFL. He has hauled on seven touchdowns on 64 receptions this season. Roosevelt took a helmet-to-helmet hit from Calgary's Tunde Adeleke in the second quarter of last week's loss to the Stampeders. He did not return to the game. Antwane Grant will start in the slotback position in Roosevelt's place against the Ottawa Redblacks on Friday. Receivers Robb Bagg and Duron Carter will start outside.